It is our pleasure to provide you with personalized, scented soy candles for your special occasion. We currently have two sizes available; 4oz. Tin and 6oz. Glass Jar. The entire process is simple and we'll work with you to ensure your candle is perfect. Turn around time is 7-10 business days from finalization of your order to shipment. To get started, please complete the form below and we will be in touch within 24 hours. You may also email us directly, if you prefer. 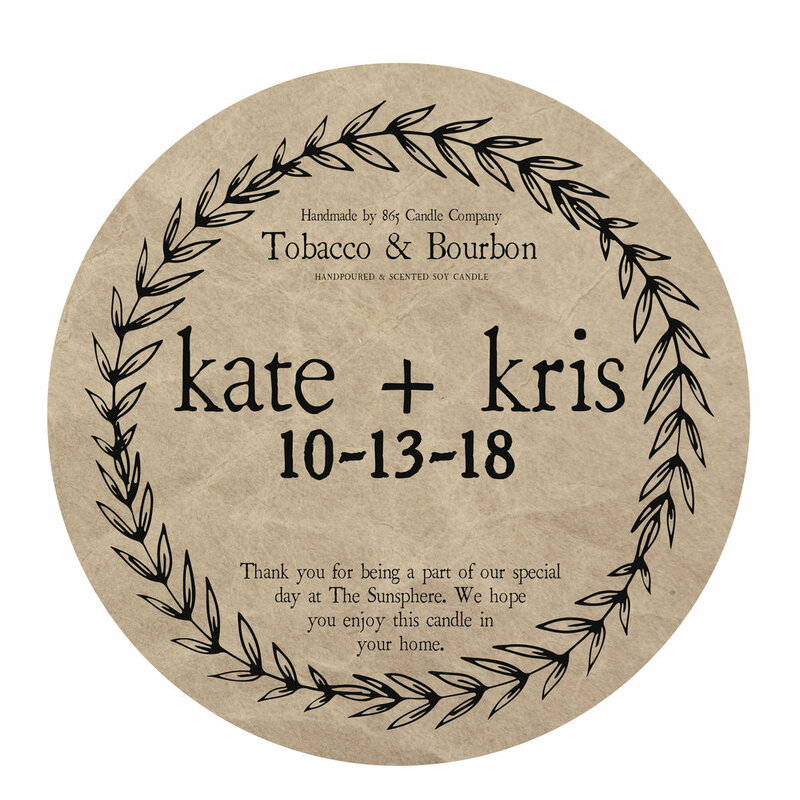 Below are our custom wedding candle templates. If you want something custom, it is no problem. Please note: custom design fee of $25 will apply if you do not use our standard templates.